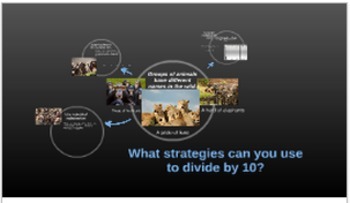 Prezi: What strategies can you use to divide by ten? 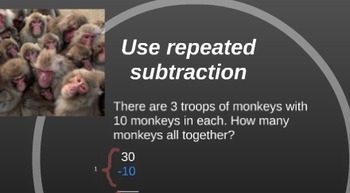 Your students will become engaged by the animal theme and learn by grouping different animals groups into tens. 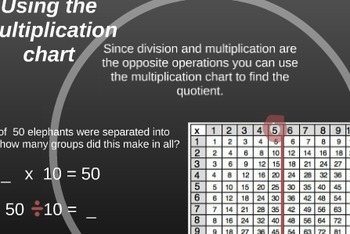 The students will learn how to use the strategy of repeated subtraction to divide as well as using the number line and multiplication chart. After downloading please leave a rating and consider becoming a follower. As with all of your products you are welcome to place this prezi on your teacher website to assist your students growth.